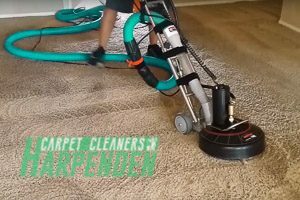 The service includes: inspection of the fibre, treating of the stains with proper detergent according to the material and than using hot water extraction machine to shampoo the carpet and remove the moisture. The carpet will dry for 7-8 hours depending on pile thickness. Service can be combined with spring cleaning or moving in/out cleaning. We can restore the life of your old rug, just by simple rug cleaning with our brand new and powerful equipment and efficient, but toxic free detergents. Our cleaning liquids are ecologically friendly and 100% harmless for your property and family. The final result will amaze you! Do you know that your sofa collects tons of dust and bacteria? As a specialized company we highly recommend washing of your upholstery furniture at least once a or twice a year. We know how to sanitize your furniture and leave it freshly cleaned and bacteria free. Remove all the dead skin flakes and body liquids from your mattress easily. Now our service are more affordable and easy to book. We will use brand new equipment and strong but ecologically friendly and carbon free cleaning liquids. Call us now to get our latest deals! Curtains collects a lot of dust when we keep our windows open. That is why we need to wash them occasionally but we all know how hard and painful is to unhang and hang them back, they are heavy and big. Now we have specially designed machinery which allows our technicians to clean them without uninstalling them. Wiping and polishing with domestic detergents may help to keep your floor well maintained, however this is not enough to remove the stains, dirt and obstructions, the grit and sand which scratch and wear down the surface, and to beautify your floor. We use professional equipment and detergents to ensure the result that you are looking for. 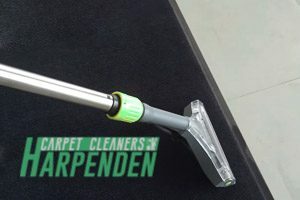 Carpet Cleaning Harpenden is a company establish many years go. With dedication and investment in improving our skills and services, we became one of the leaders on the market. Now we have local professional technicians all over London and Greater London (Harpenden, Luton, Harlow, Hemel Hempstead, St Albans, Watfrod and more). Our organisation is specialized in Professional Carpet Cleaning however we provide wide list with other services such as Sofa, Upholstery, Mattress cleaning and more wich you can find above. We are proven leader on the market because we take our customer’s feedback seriously, it helps us to move forward and improve our services. We have built strong relation with our loyal customers based on trust and support. The company schedule is more flexible than before, because now we work on Saturdays, Sundays and Holidays. We have emergency teams so we can book you at the most convenient time for you. Our available timeslots are in the morning or in the afternoon. All of this is possible because of the hard work of our staff members. They are all ambitious, hard working and innovative. All of them are fully insured and police checked with all the rights to work legally in the country. Our website is a result of tireless work of our technical support team, they do their best to dispose the latest information in our web pages and make them user friendly and access free. Our customer representatives are well informed, polite and friendly, they have positive attitude to all customers. They will solve any problem you have and lead you through the booking process. The cleaners that perform our services are loyal, responsible, reliable and hard working, we have built trust between us based on our long experience together. We know that for them to achieve great results we need to provide the newest and top of the line equipment, materials and detergents. Our machinery is powerful, the cleaning liquids that we use are all bio friendly and toxic neutral, 100% harmless for your family and pets. We are company promoting the green working process. You can get all of this at very reasonable and competitive prices. Our cost are budget friendly and within the mean of every pocket. There are no hidden charges on top. All of the cleaning materials and machinery is included in the price. Contact us directly on 020 8077 6077 or fill the booking form below.